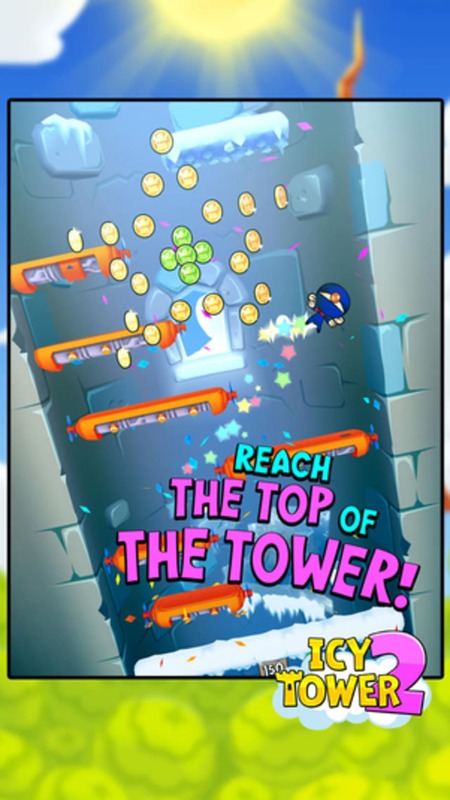 Icy Tower 2 is an arcade game where your objective is simple - jump as far up a tower as you can! 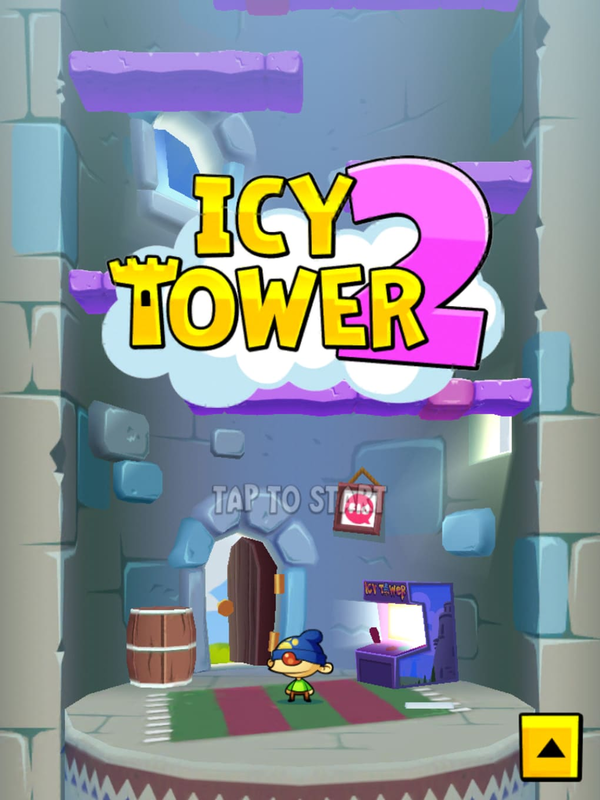 You could see Icy Tower, released in 2001, as a forunner to the viral mobile games of recent years like Angry Birds. 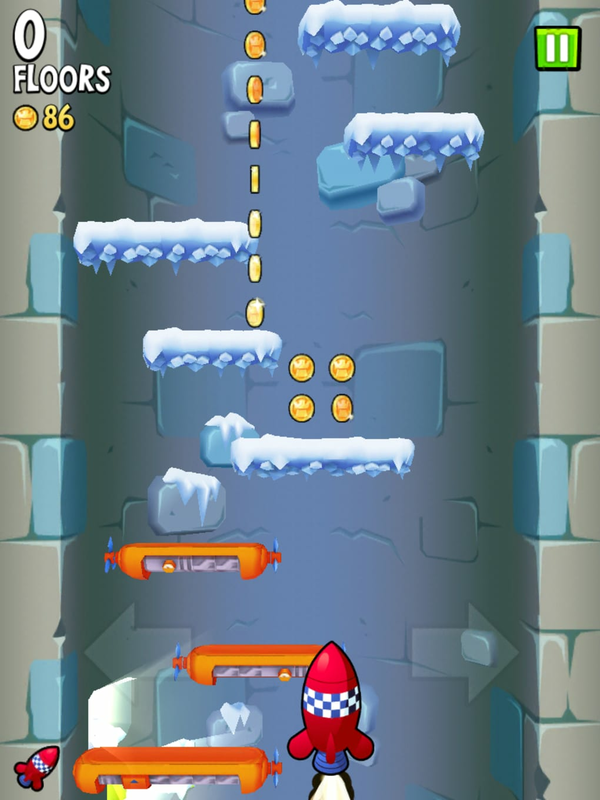 Icy Tower was one of the first games to prove that simple, easy to pick up gameplay could trump big budget titles for popularity. 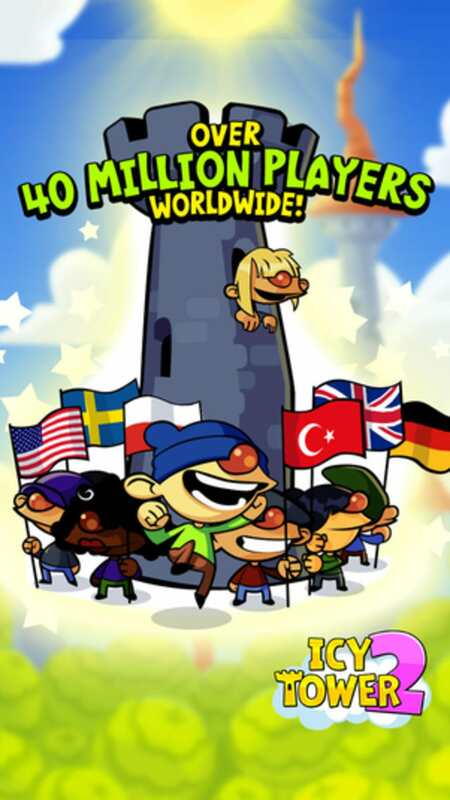 More than 20 million downloads is hard to argue with! 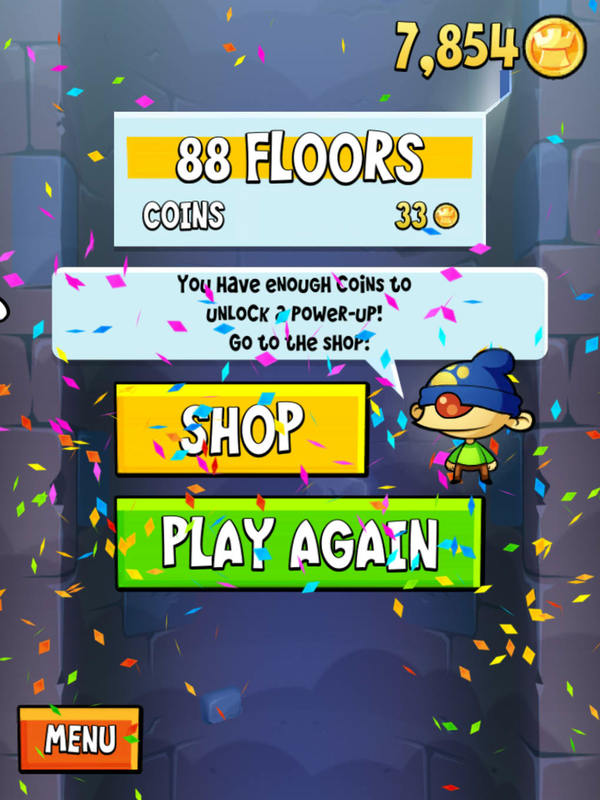 Icy Tower 2 doesn't change the basic gameplay. 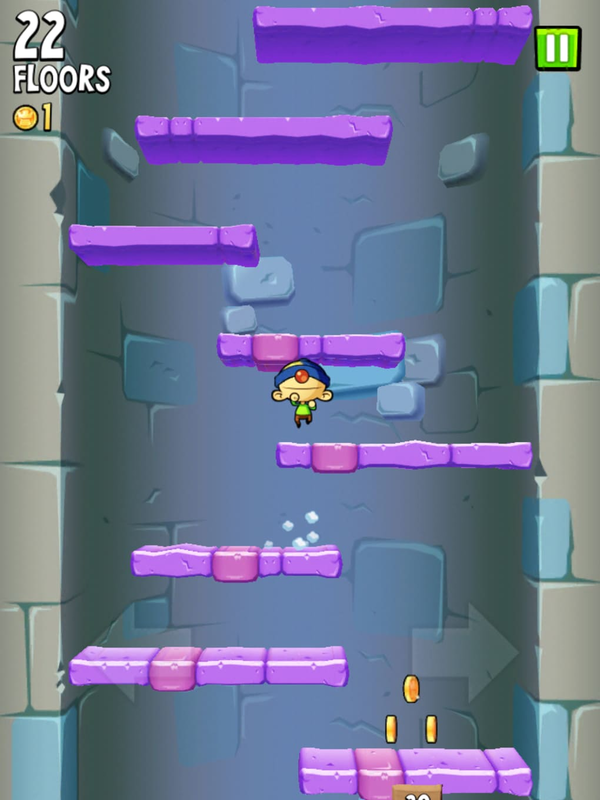 You control Harold the Homeboy, and have to help him jump up the tower. 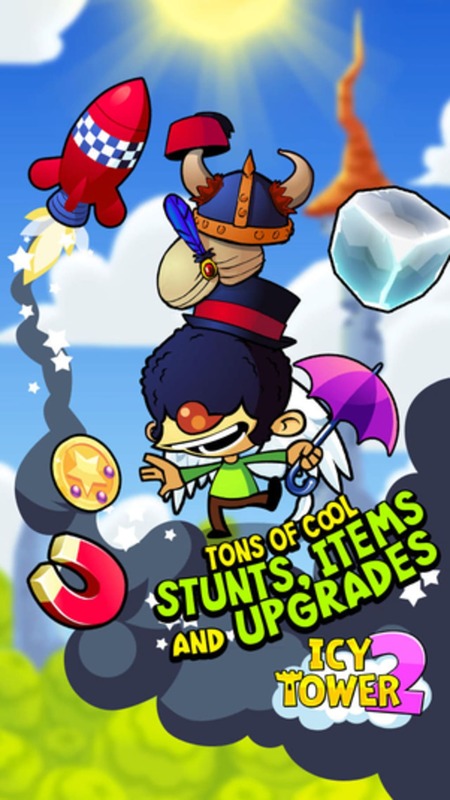 Unlike the original, Harold now jumps automatically. 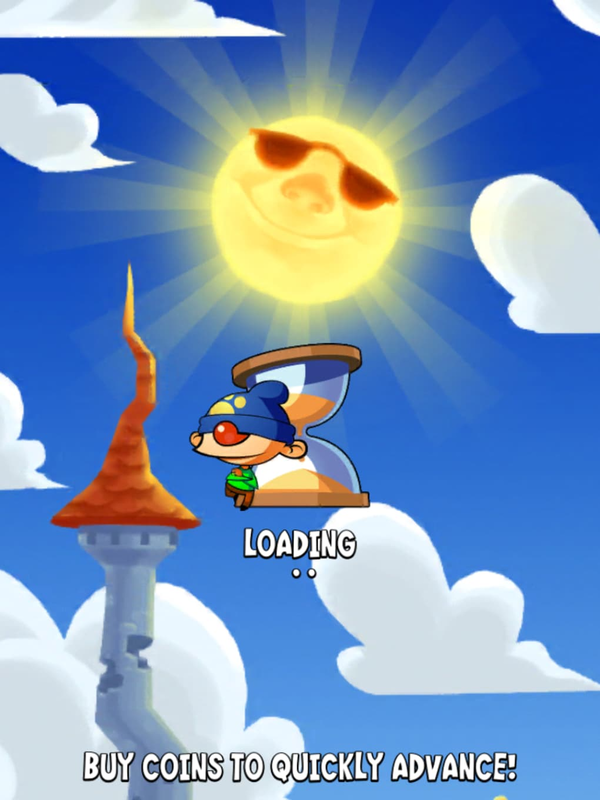 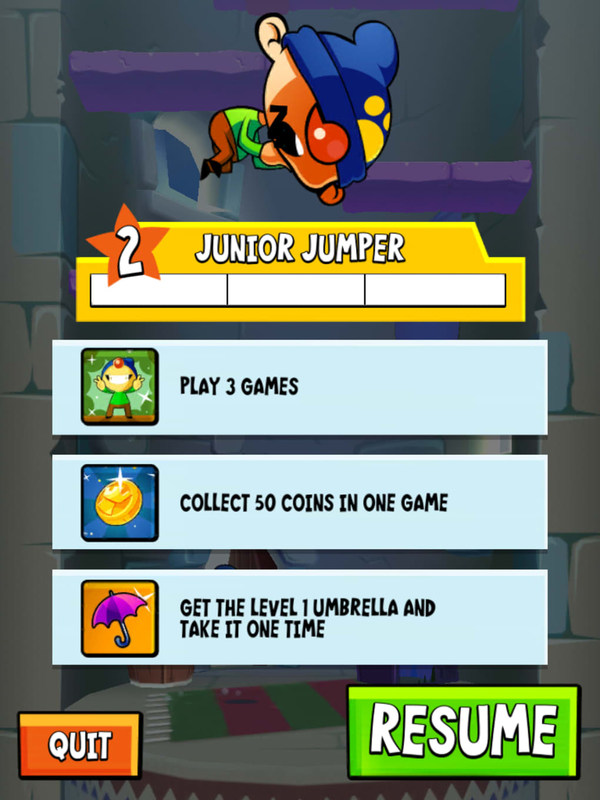 You have to tilt the screen to move, and tilt harder to make Harold jump higher. 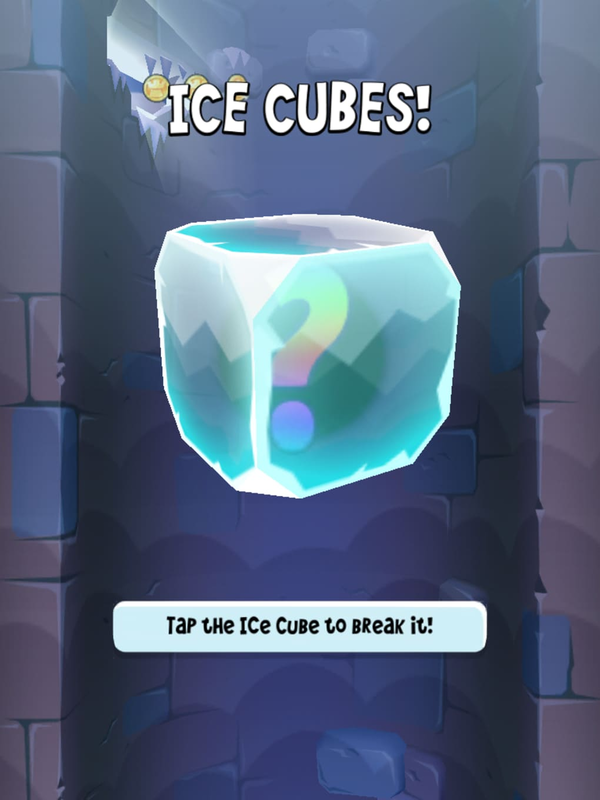 It's an unusual control method, but surprisingly easy to pick up. 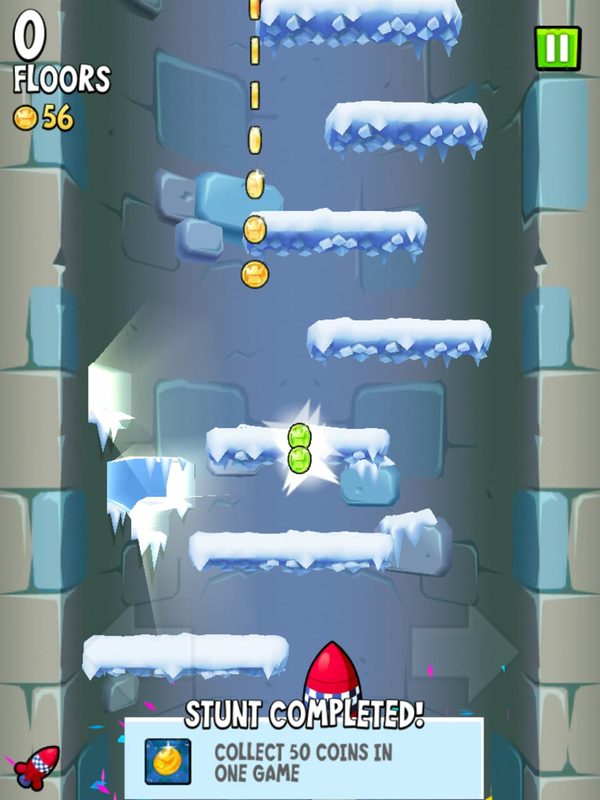 The graphics are much better in Icy Tower 2, with a cartoon look not unlike the Angry Birds. 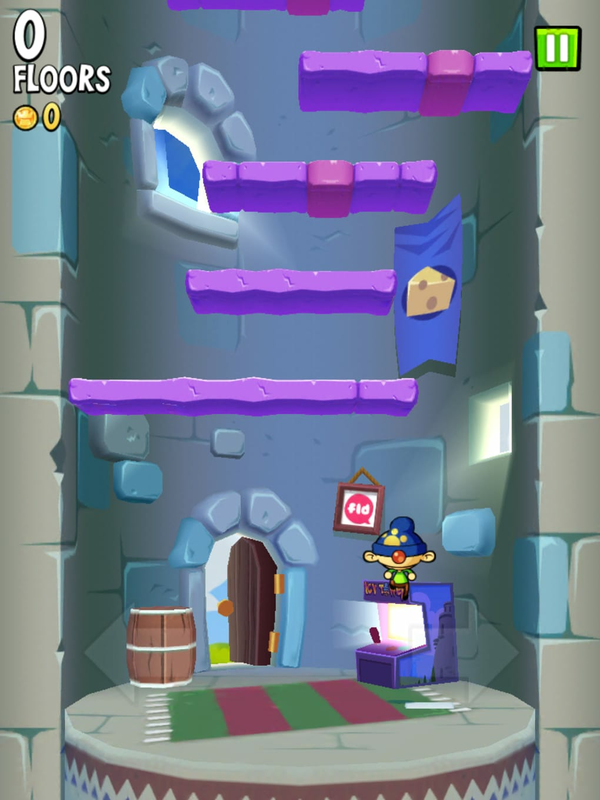 As you climb higher, platforms start to fall, so you have to keep going upwards. 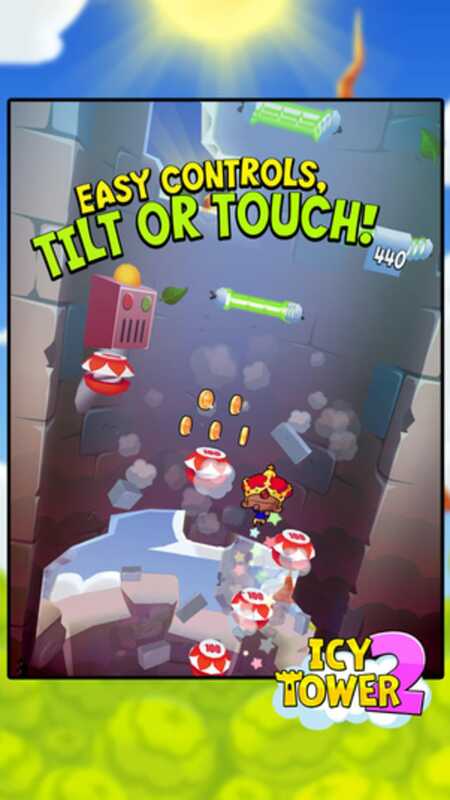 Miss a platform and fall, and it's likely game over. 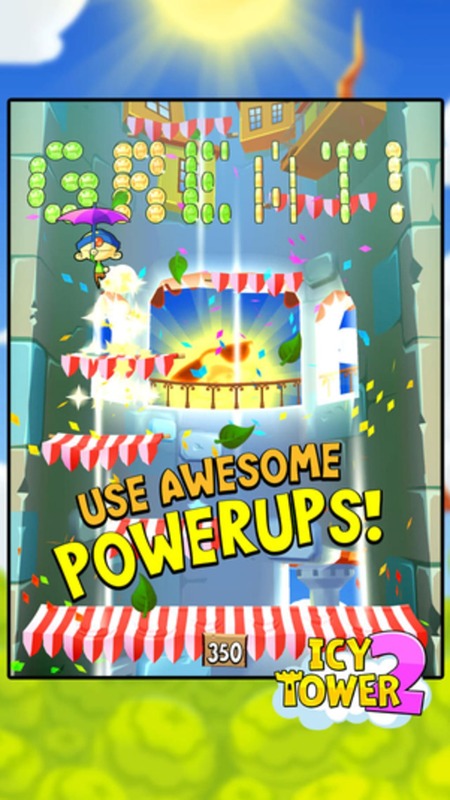 As you proceed you win coins, which you can spend on power ups to help you get even higher, as well as various boosters and hats! 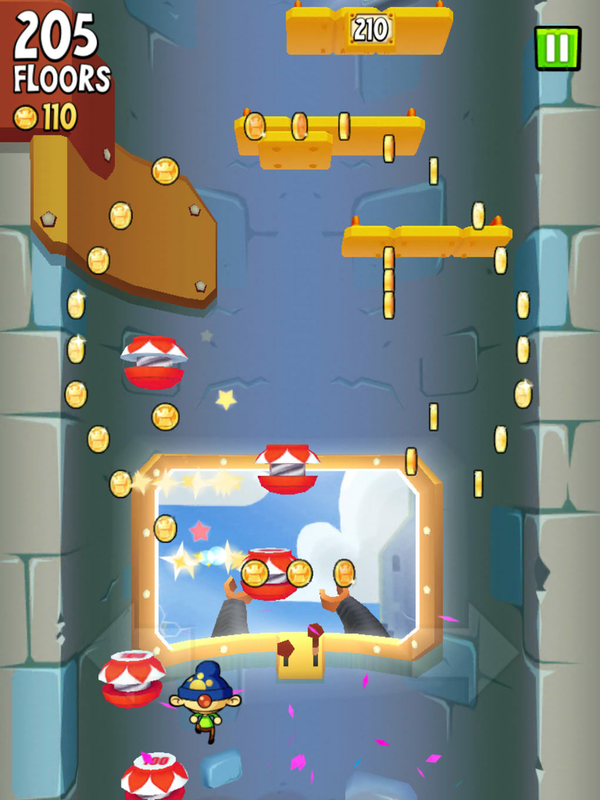 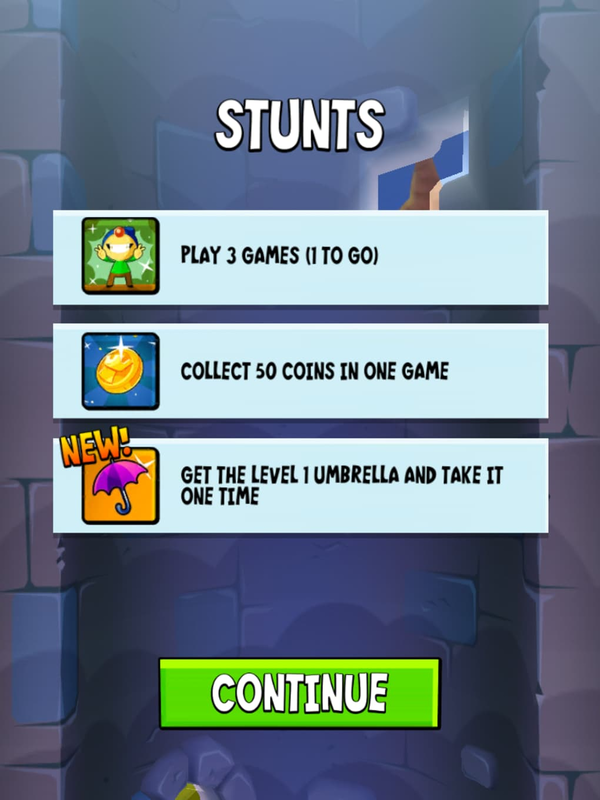 Achievements are called Stunts in Icy Tower 2, and they also give you more coins. 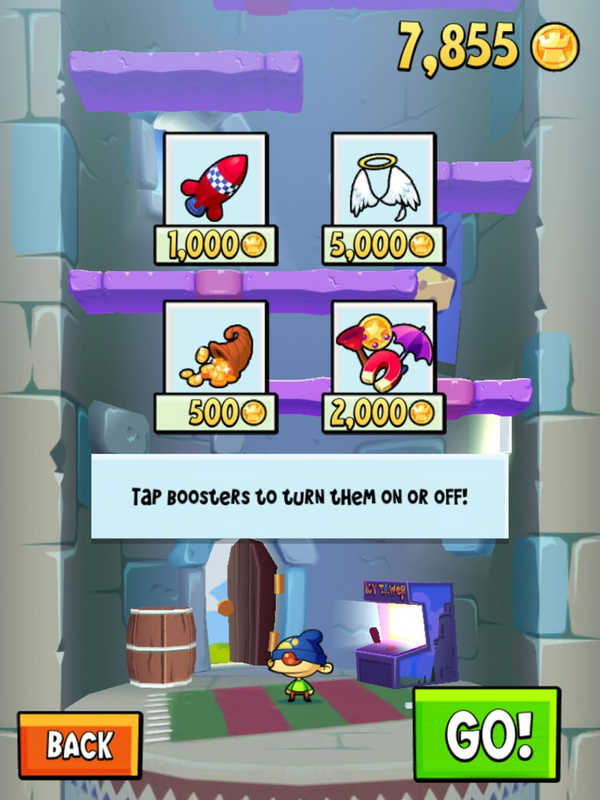 You can purchase more coins in-game if you want to get ahead quicker. 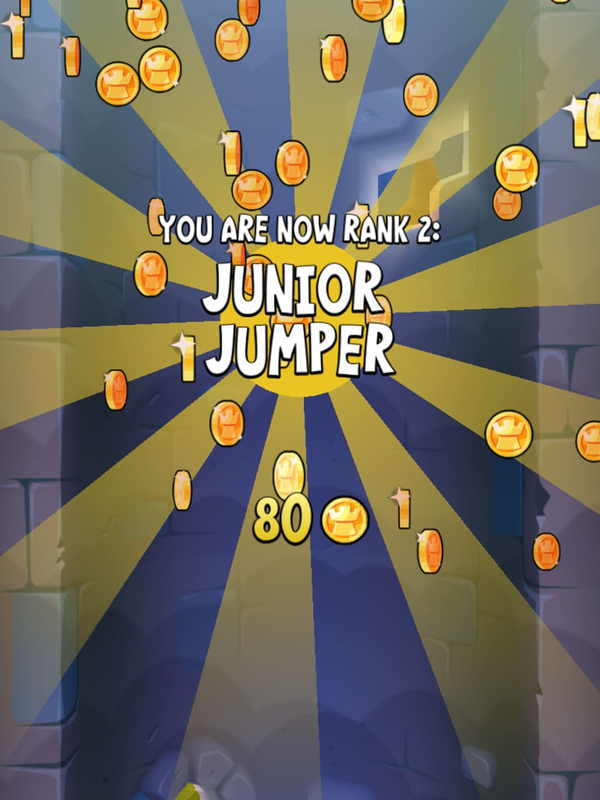 Icy Tower 2 also lets you share your achievements on Facebook and Twitter. Simple to pick up, but difficult to put down, Icy Tower 2 is a great update on an addictive classic. 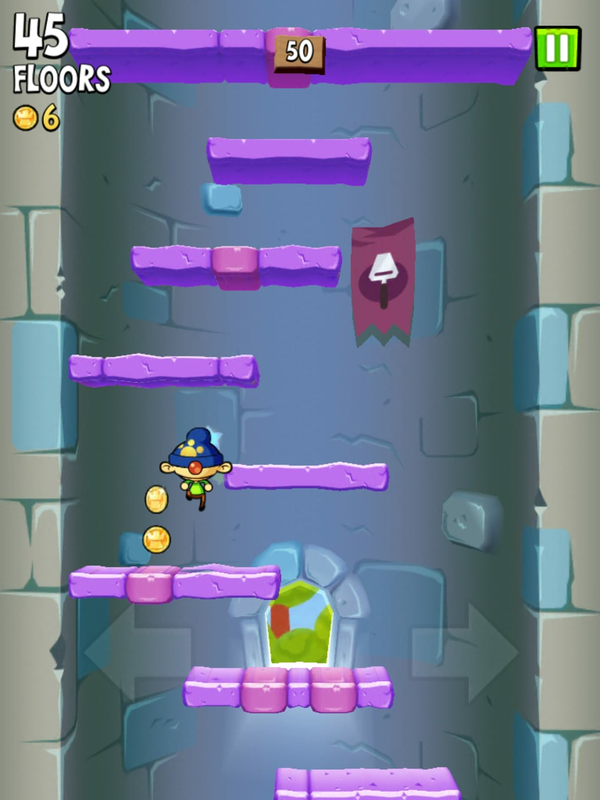 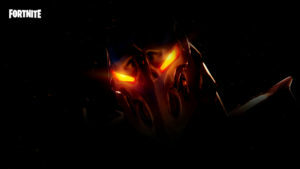 It's not a revolution, but it's fun and fast, which are essential features of great mobile games.